I have been refining the deadwood on my very large Yew. Good preparation, cleaning, removing remnants of old bark, clearing out the deep holes and hiding any work done by man will ensure that this tree will present well. Three years since the tree was collected it has thrived, it will be styled in my garden the day before the Burrs event, Burrs participants who will visit the garden will be the first to see this great Yew. Hi Tony, outstanding specimen and a great job done matching the carving to the existing deadwood. I am assuming that you have sandblasted to finish off, if so would you share some secrets regarding the settings, grain-size etc.? Hi Justin, thanks for the kind words. We are redeveloping a shopping center. There are 20 to 30 beautiful 40-yr old yews and junipers which are going to be destroyed. I would like to pull them before the bull dozer comes. Any advice on timing or technique? mist spray and keep in the shade out of strong sun. 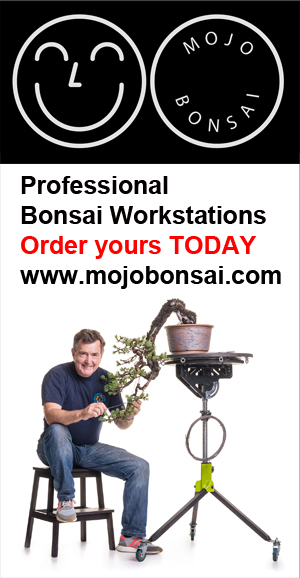 you do do not say where you are, have you contacted a local bonsai club as they can help and advice. Can’t wait to see it mate, and Burrs of course! !